How can you expe­ri­ence your favorite team’s games at close quar­ter even though you are not in the sta­di­um? 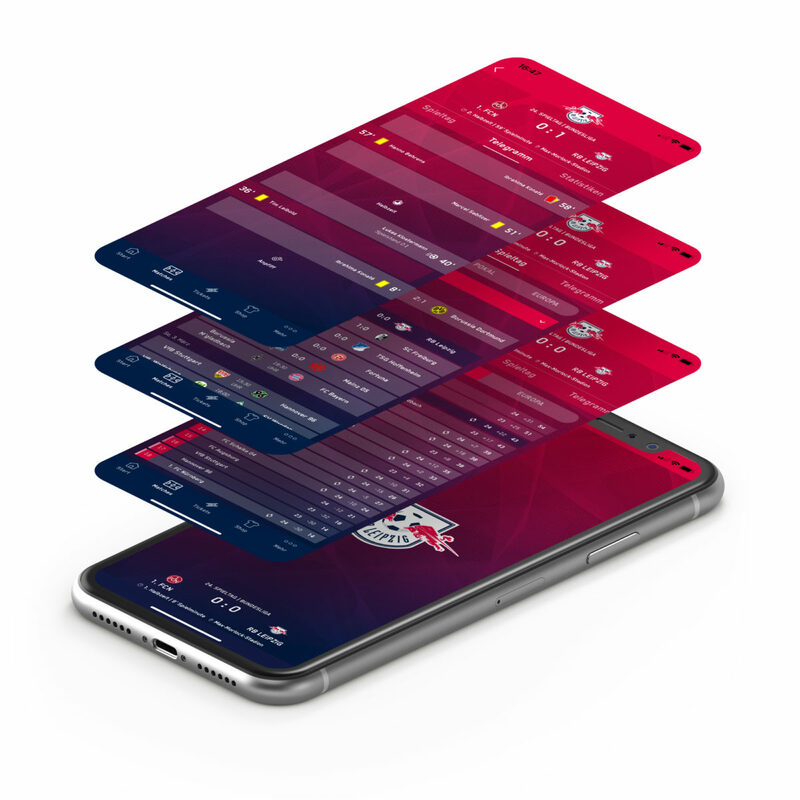 With RB Leipzig’s new app, die-hard fans of the club will no longer miss a sin­gle goal shot, even if they aren’t in the sta­di­um to cheer on their favorite team. Users of the app can wit­ness cur­rent games in an out­stand­ing way. All games can be expe­ri­enced live: real-time infor­ma­tion on the line­up, sub­sti­tu­tions, goals, sta­tis­tics, and emo­tions galore, trans­mit­ted via live-stream by ​“Bul­len­funk,” the club’s radio sta­tion, offer a one-of-a-kind expe­ri­ence inside and out­side the sta­di­um. 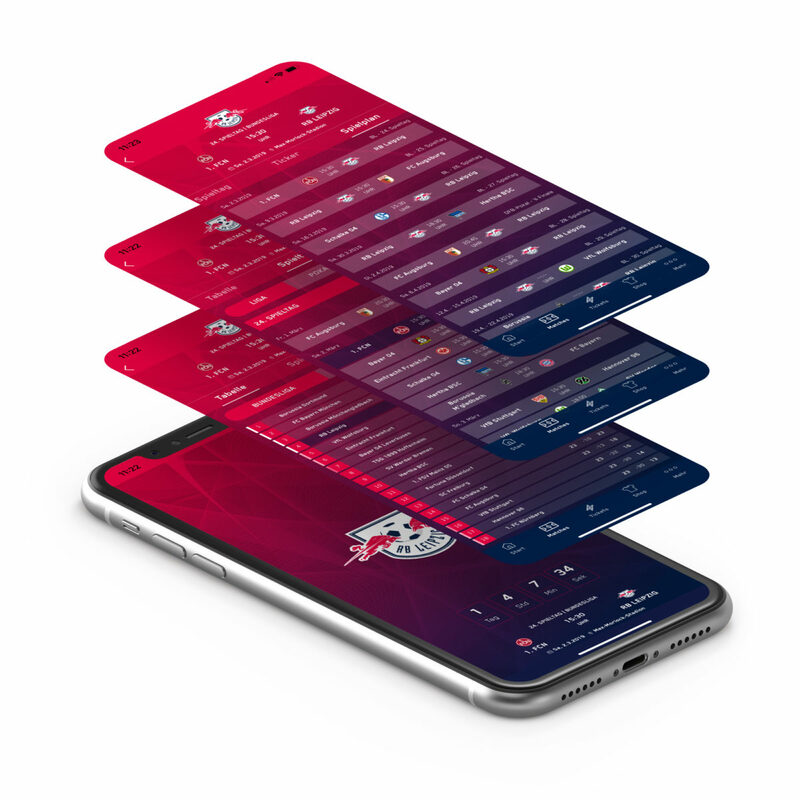 Addi­tion­al live noti­fi­ca­tions guar­an­tee that fans won’t miss any impor­tant news regard­ing their favorite team. 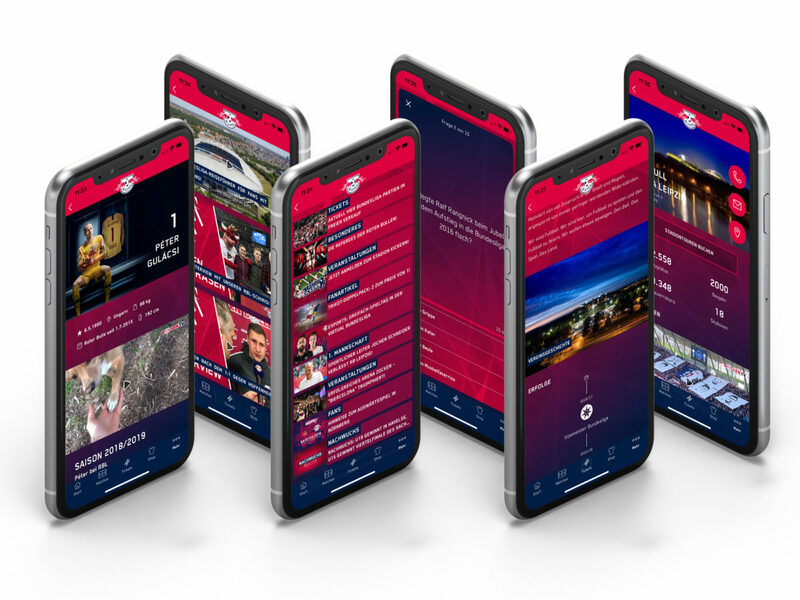 More­over, the app fea­tures a quiz for fans who want to test their knowl­edge of RB Leipzig and win spe­cial­ly designed batches. Both the extend­ed func­tions and the off-beat design make the app stand out from those of the Bun­desli­ga oppo­nents. 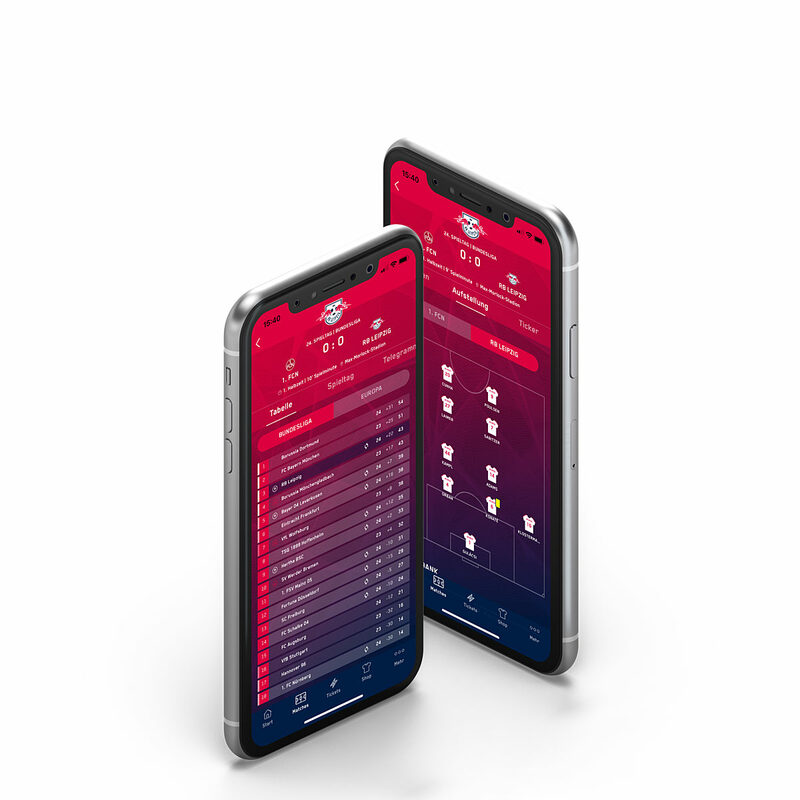 At the same time, the app fits in seam­less­ly with the club’s dig­i­tal communication.